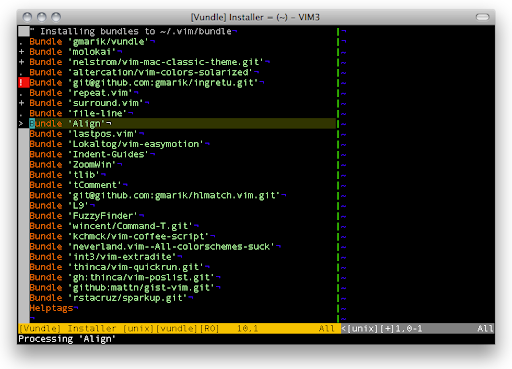 Vundle is short for Vimbundle and is a Vim plugin manager. Installing requires Git and triggers Git clone for each configured repo to ~/.vim/bundle/. see :h vundle vimdoc for more details. If you have an interesting example, feel free to send a pull request with link to your config. Thx! redlinesoftware - for lending me 24” monitor!